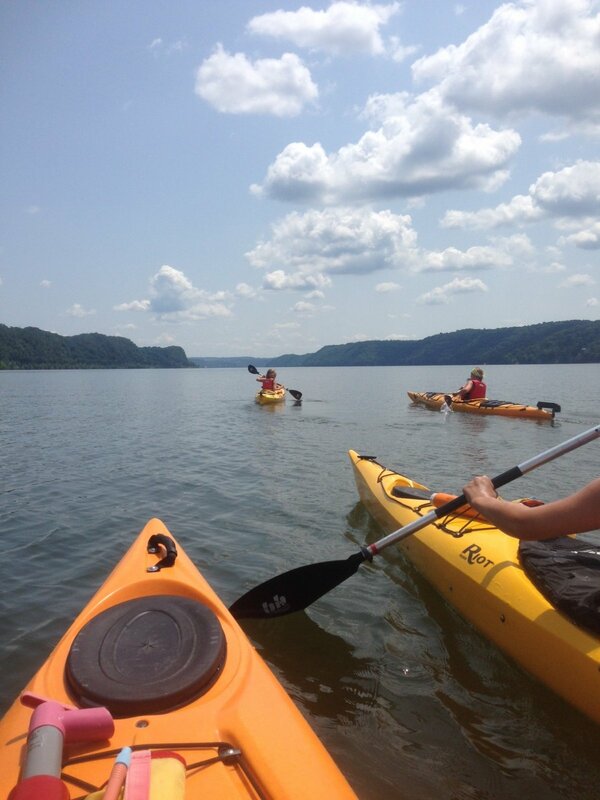 Cool off with a leisurely guided paddle tour on the Susquehanna. Bring your own kayak or stand-up paddleboard or rent one from us. The tour is suitable for all skill levels. Afterwards, head to Shank's Mare's banquet room, The Rookery, for a delicious multi-course bufffet dinner. BYOB is welcome. Grab some friends and reserve a whole table! It's a great way to spend an evening on the river. Guided Tour and Dinner. Rental kayaks available at an additional charge. If you need rental kayaks please call 717-252-1616 in advance to make arrangements. Participants should wear clothing suitable for watersports including water shoes (no flip flops). Changing facilities are available. BYOB is welcome to enjoy with your dinner in The Rookery. Shank's Mare guides have years of paddling experience. They are happy to share highlights of our beautiful Susquehanna River to make your paddling adventure a memorable one. Fee - includes guided paddle tour and dinner. Please call 717-252-1616 if you need rental kayaks or sups (additional charge).